Shaktipat Meditation Yoga. Nityananda Shaktipat Yoga - Sadguru Kedarji. From Wisdom, Wellness. To Be Both Wise and Well Is The Practice and Goal of Our Yoga. What Is Nityananda Shaktipat Yoga? – View Now. In particular, here you can learn Sadguru Kedarji’s unique approach to Shaktipat Meditation and the Yoga of Wellness. 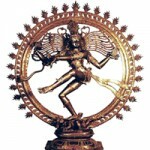 Nityananda Shaktipat Yoga is offered for this purpose. Most importantly, Nityananda Shaktipat Yoga is established for you to attain a state of indescribable Joy and wellness beyond your expectations! It is the Yoga of Guru’s Grace. We honor Shri Avadhoota Bhagawan Nityananda of Ganeshpuri, the Master of our lineage in these modern times. Specifically, we do so because He is without taint, completely pure. His Love Is So Beautiful That Nothing Else Matters. 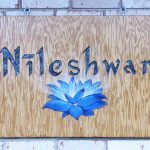 With this in mind, Nityananda means the Eternal Bliss of the Absolute. You can attain this Eternal Bliss of the Absolute with Nityananda Shaktipat Yoga. Nityananda Shaktipat Yoga is based on the spiritual leadership, instruction and tutelage of Sadguru Kedarji. Here, you can engage in a spiritual path to permanent spiritual transformation. To that end, it is offered by a true spiritual guru/master. Also, we are an international Shaktipat Meditation Retreat Center and Holistic Wellness School. Shaktipat Initiation and the Shaktipat Kriya Process is the focus. Our school is run by Sadguru Kedarji and trained, certified teaching staff. Live Long, Live Strong and Enjoy Your Existence Here By Applying Sadguru Kedarji’s 4 Pillars of Total Well-Being. Spiritual Power is the foundation. Weekend meditation retreats near me for meditation and wellness. Nityananda Shaktipat Yoga is a spiritual path on which you can experience total well-being and permanent spiritual transformation. It is offered at our school and retreat center. In short, people find that our international Shaktipat Meditation Retreat Center is a perfect setting to receive Shaktipat Initiation. In addition, you will also experience true Meditation and vibrant holistic wellness programs here. Our retreat center is located in Youngstown, Ohio. 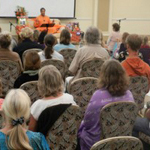 You can attend additional events in Cleveland, Ohio and Pittsburgh, PA.
People come here to experience a retreat environment for the transmission of Grace known as Shaktipat. Sadguru Kedarji’s Shaktipat Blessing is offered at our retreat center. You will find this to be the entry point to a full education and experience of the Shaktipat Kriya process, also known as Sadhana. The Shaktipat Kriya Process embodies our 4 pillars to Total Well-Being. The purpose of Nityananda Shaktipat Yoga is to give you the means to end your seeking now. ~ Amanda H. Youngstown, OH. Our retreat center is accessible by car, plane, rail, bus and train. Programs are also offered on the Internet. Overnight accommodations are available at our Shaktipat Meditation Retreat Center and Holistic Wellness School, and area hotels.